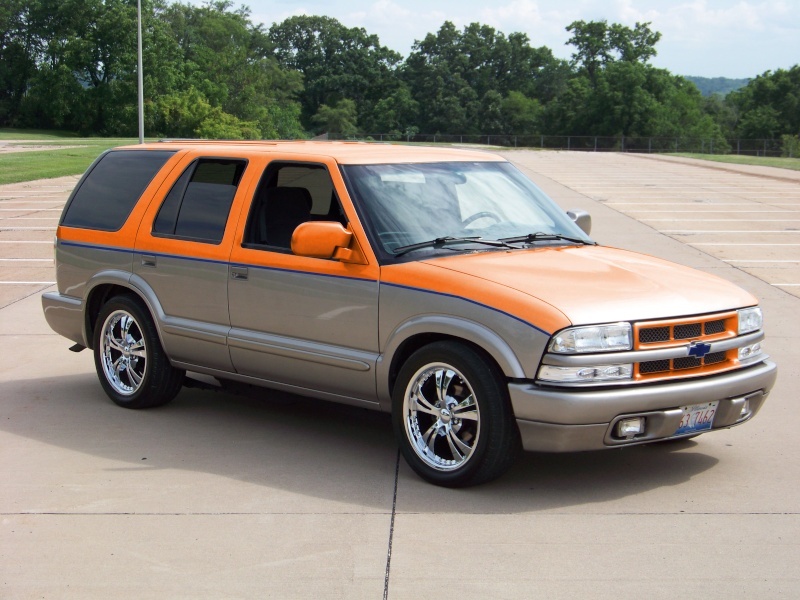 2002 Chevy Blazer LS 4x4. Lowered 3" in front and 4" in rear. Shaved antenna and roof rack. Color matched door handles and mirrors. Painted back bumper and quarter piece between windows. Color matched grill with black bow tie. Clear parking lights and brake lights. 18" Chrome rims with 255/45/18 tires. 7" In Dash touchscreen dvd player. And all work was done by me. That looks better. But it's a 4x4 and the frame would keep it from going that low. I've had that thought many times. Let me know when that meeting is and what I need to do. I would love to sport an Altered Images sticker in the back window. abachtold wrote: That looks better. 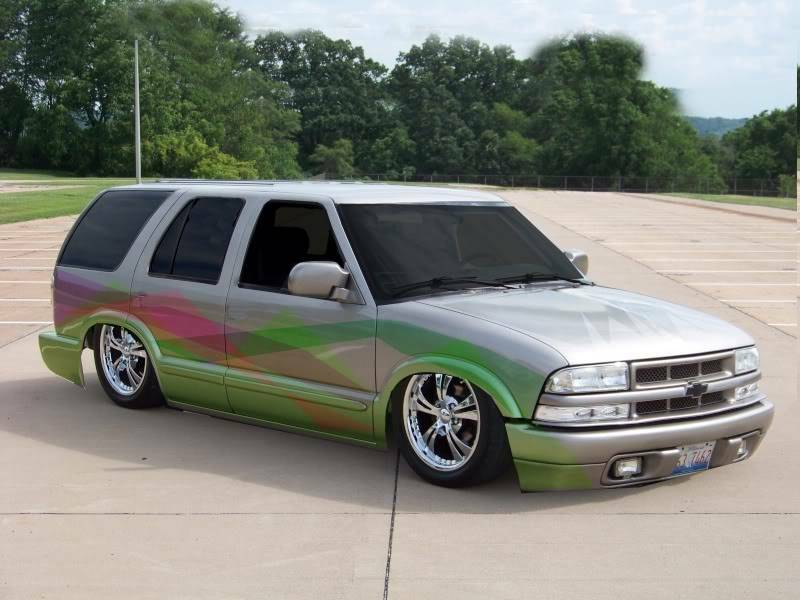 But it's a 4x4 and the frame would keep it from going that low. I've had that thought many times. Let me know when that meeting is and what I need to do. I would love to sport an Altered Images sticker in the back window. Oh yea anything can be done look at scotts car thay didnt make a lambo kit for that at that time all the cars and trucks in a,i have at some point had to do build it from scratch or change it to do what thay want to do. Ya, I'm into makeing things, just not on that big of a scale. I would have to make my own front end, cut the frame and on and on. Be easier to just buy a 2wd and start over. Just don't have the money for that right now. Where is the show at? What time? 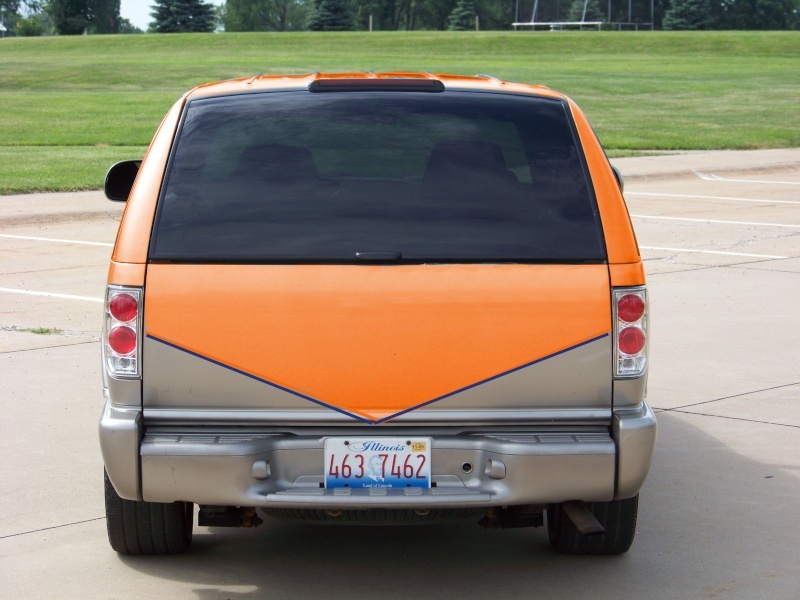 The back would be closer to the top of the tail lights. But this is the main idea. I think it looks good. looks good not feeling the blue pin stripe .......but then Im mini trucker we dont do pin stripes............LOL...............when we gona hook up??????????? I LIKE THE GREEN OR ORANGE, WHAT DO YOU THINK?